Blurb: Al Ahly’s youth system has produced a tremendous amount of talents over the last decade. The 20 year old full back is under the spotlight after Ramadan Sobhy’s departure to Stoke City. Juan Carlos Garrido gave the youngster his first call to the first team at the age of 18 in the 2014-15 season. Since then, the Egyptian managed to make forty-nine appearances, winning the Egyptian League and the Egyptian Super Cup. 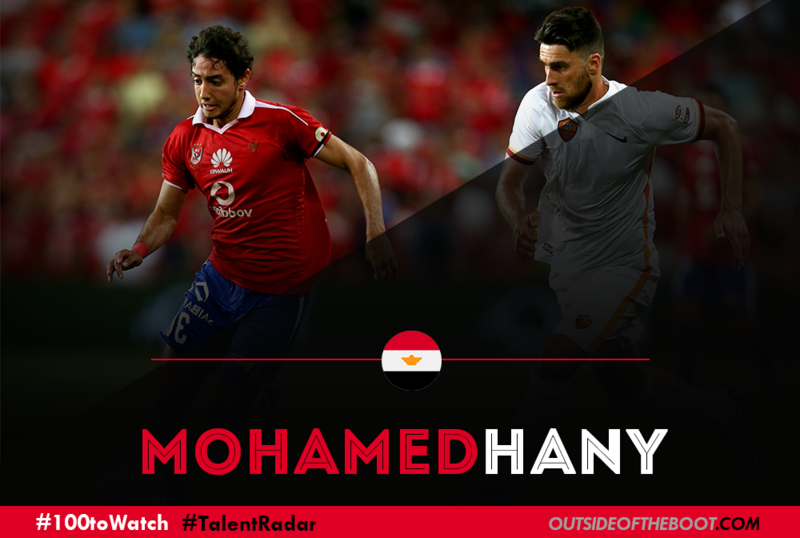 On an international note, Mohamed is a regular starter in the Egyptian Olympic team but is still to make his official senior team debut under the management of Hector Cuper. Analysis: Firstly, the young lad is well known for his skillful feet and his agility, he has showcased his skills on different occasions. But he became a fan favorite after one of the most humiliating skills to be ever seen in the Egyptian League against Talae Al Gaish, a skill so good that it became viral. Another thing is his decent crossing ability; he has a ratio of three successful crosses out of seven attempts last season. Moving on to another weapon in his arsenal, he is considered as one of the fastest players in Al Ahly’s current squad. As for him being an attack oriented full back, he found his place in the starting XI this season with Hossam Al Badry. 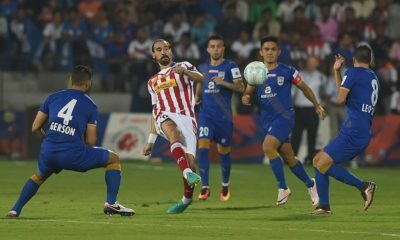 Under the management of Garrido, the young lad used to play as a winger in friendly games due to his spectacular attacking abilities. Moreover, his defensive abilities are nowhere near his attacking abilities, and the young lad jumps into immature tackles conceding a lot of fouls making him injury prone. Looking Ahead: Mohamed Hany was linked to several European sides, but he denied having talks with any club confirming that he will renew his contract with Al Ahly. Al Ahly is keen to renew his contract as it expires later this year and he fits perfectly in Al Badry’s attacking style of play. The youngster has a lot of potential and he is considered one the best in his position in the league. 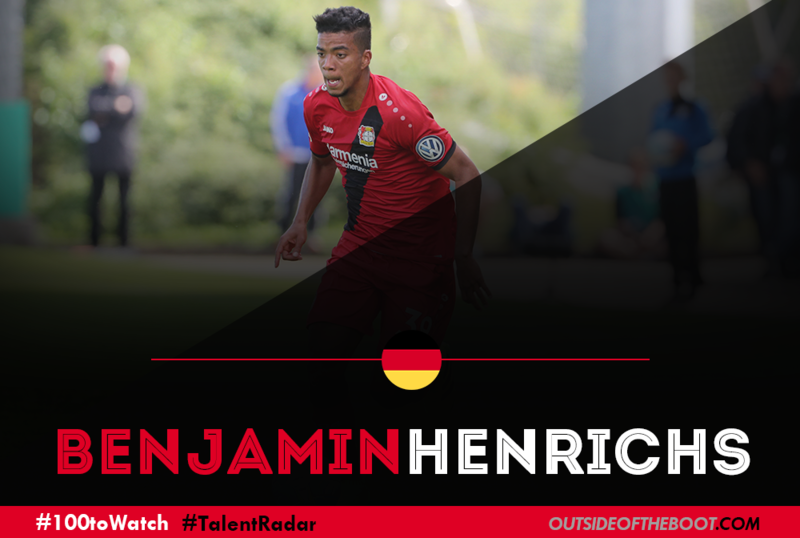 Blurb: Benjamin Henrichs broke into the Bayer Leverkusen first team in the latter part of the 2015-16 season, before beginning the new campaign as an integral part of Roger Schmidt’s side. 2016 has thus seen Henrichs break through and establish, serving as a testament to what 2017 could potentially hold. Analysis: Versatility has served Henrichs well, from a young age; in the youth setup while developing his skills, the German was used in both defensive and attacking capacity in midfield, whilst also being deployed in all positions across the back four. It’s this versatility that has prompted first-team action for Henrichs, being played on either flank in defence under Schmidt. Given the side’s propensity to play a highly intensity, face paced and extreme pressing game, the work rate, stamina and speed of the full-back becomes integral to the team’s success and the teenager has accepted this role actively, being one of Leverkusen’s stand out performers. 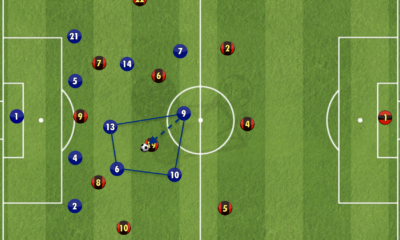 The approach from Leverkusen also commands a quick turn into defence, often categorised with recovery tackles which Henrichs has grown to master. Henrichs offers a variety of options with his ventures forward, being able to swing crosses into dangerous areas, play through balls and make dangerous run into channels. Looking Ahead: What’s crucial for Henrichs at the moment is to truly establish his best position. While versatility serves his side well, Henrichs needs to be able to recognise his strength and truly hold down a preferred spot despite most modern day full backs being adept on both flanks. It would also serve Henrichs well to test himself in a more defensively inclined approach to test the other aspects of his game-play, rather than standing out in an intensive system. Blurb: Holgate, 20, is a versatile defender who can play as a centre-half and also as a right-back. He was snapped up for a paltry two million pounds from Barnsley. 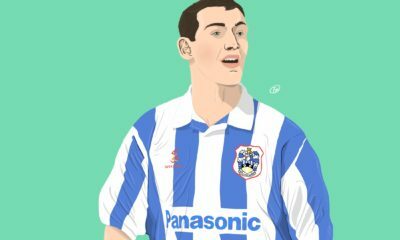 The Englishman had been impressive for the League One side in his 20 odd league appearances and two FA Cup games. With John Stones hell bent on leaving the Merseyside, the Toffees had to snap up the prodigal Englishman to bolster their ranks. He made his ascent to the Everton first team in 2016 under Ronald Koeman after impressing one and all at U-21 level for both club and country. Analysis: Temperament and solidity are the hallmarks of a truly world-class defender and this Evertonian lad has both in abundance. His performances belie his age, especially against Stoke where he effectively took out the mercurial Marko Arnautovic from the game. Comfortable in possession and creative in distribution, he surely makes for an exciting ball playing defender especially in a back three. Adding to this is his no-nonsense approach, which prevents him from getting into muddy situations. 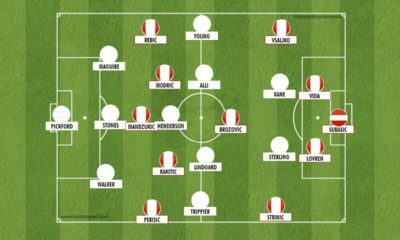 Comparisons with his former team-mate John Stones are inevitable due to their similar backgrounds and playing positions. In all honesty, Holgate is less of John Stones and more of Rio Ferdinand. The 20 year old gives you glimpses of a young Ferdinand, who had similar temperament and quality on ball. For all his gifts, he still needs to address a few areas in order to be a top defender for years to come. One of his major drawbacks is his feeble physique. He needs to bulk up and adjust his game to match the rigors of the English game. By working on his physique, he will effectively also address two more weaknesses of his game. They are poor aerial presence and strength to tackle. Currently he is too easily brushed off by the burly strikers of the English league, but soon if he bulks up, he’ll be a menace hard to shrug off. 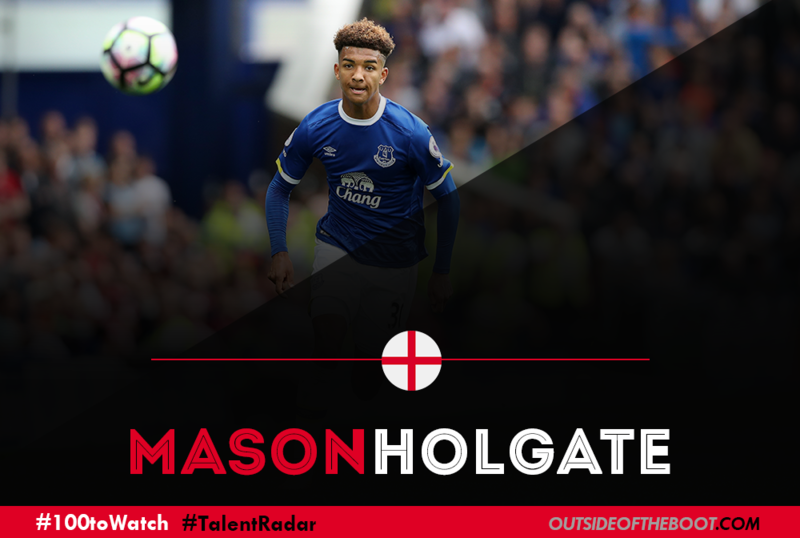 Looking Ahead: With a mentor like Ronald Koeman, Holgate has everything he needs to be a top, top defender. If he works hard enough and grabs his chances then Everton have a gem which will shine brightly over the next decade for them. He seems destined to play for the big boys of the European football and it’ll be an anomaly if he spends his next decade at Goodison. 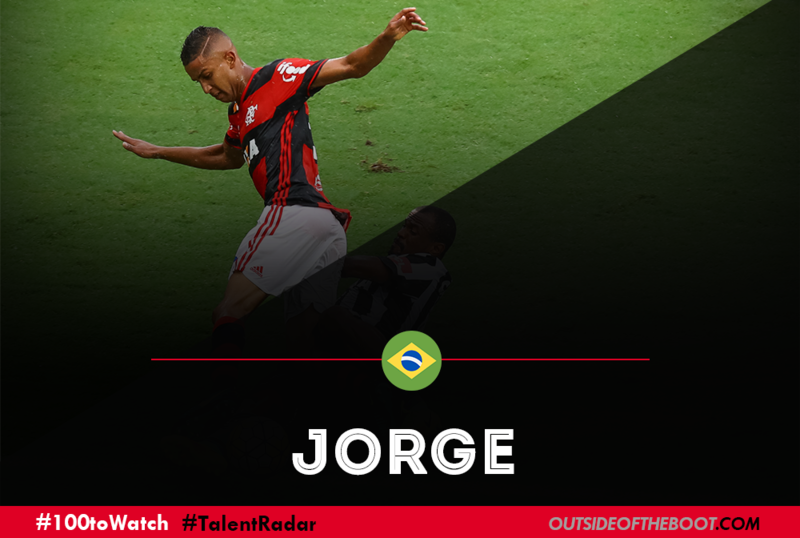 Blurb: The 20-year-old left back featured thirty-one times for Flamengo as they challenged for the Brasileiro, only to finish as runners up behind Palmeiras. Known by the Mengao fans as Jorge Alba in reference to the Barcelona full back, Jorge has proven to be one of the finest defenders in the league. Are we looking at the long-term successor to Marcelo? 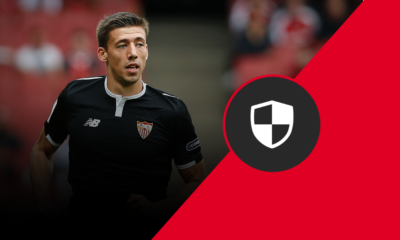 Analysis: What marks Jorge out is his all-round game and consistency. While possessing all the good aspects of the modern full back, he is defensively better than a lot of his contemporaries. His tackling is clean and effective, as demonstrated by the fact he only picked four yellow cards last season. His reading of the game is also very impressive and he often makes interceptions. Jorge is also taller than the average full back and possesses good stamina to see him get up and down the left flank. His passing is tidy and accurate but generally speaking he favours the simple ball rather than something more ambitious. Two league goals from left back isn’t a bad return and in general gets forward well but one area that could with improvement is in the assists department, particularly regarding his crossing. If the U20 international can add that to his game, he really will be the complete package. 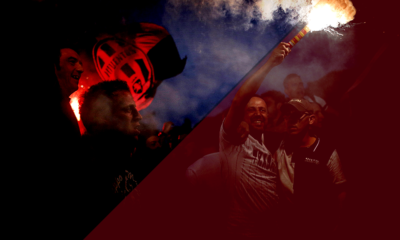 Looking Ahead: For now, there will be the added incentive of Libertadores football and perhaps another title push with Flamengo. A call-up to the Brazil national team looks a few years off but if he continues his trajectory he could easily become a regular for the Selecao, whether it be at left back or potentially in a midfield role as some have suggested. Right now he just needs to keep doing what he’s doing and good things will certainly come. 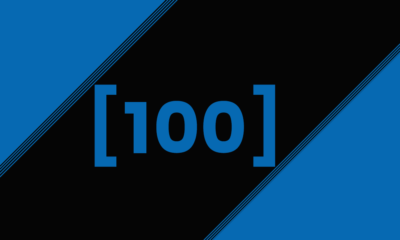 Blurb: Many people don’t think of Uzbekistan as one of the great national teams of the next ten years, but with a strong performance in the 2015 U20 World Cup (Quarter Final exit) and a new generation of talent coming through, Uzbekistan seems to be a growing force in the international scene. 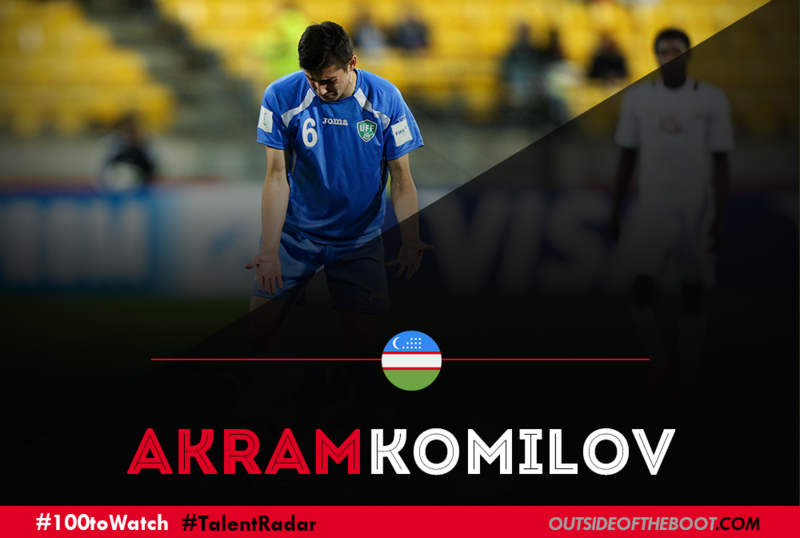 The biggest of those talents is left back Akram Komilov. Currently applying his trade for Uzbek giants Bunyodkor, Komilov has been getting regular minutes for three years, and doesn’t appear to be slowing down anytime soon. Analysis: Since making his debut for Bunyodkor in 2014, Komilov has become a fixture in the first team, and he made his Uzbekistan national team debut in a friendly against Canada in June of 2016. 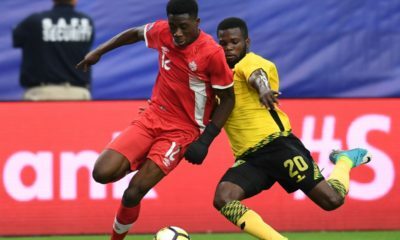 Unfortunately he scored an own goal that handed Canada the win, but despite that, his future with the national team still appears to be bright. He has also played in every one of Bunyodkor’s Asian Champions league games so far this year. Komilov is a very quick fullback and uses his pace to its full advantage during games. He is sometimes forced to overuse his pace because of his 175 cm height. He is quite good going forward and he is also a very disciplined player. In his professional career, he is yet to get see red and so far this season he has only gotten one yellow card in nine games. Looking Ahead: With his reputation growing with every game, Komilov is sure to attack many suitors in the upcoming seasons. As a result of the consistent minutes he has gotten in the last few years his game is also extremely well developed for a footballer of his age. His work rate and and dedication are sure sign for a good future and with him currently being tucked away in the Uzbek PFL, Komilov has almost no chance of being sucked into the hype machine that has consumed so many of football’s great talents. Blurb: A canny buy for Lyon in the summer, Emanuel Mammana is one of a wave of precocious center backs in Ligue 1 this season. Alongside Toulouse’s Issa Diop, Nice’s Malang Sarr and his teammate Mouctar Diakhaby, the Argentine has done well to impress despite being just 20. But perhaps that was only to be expected of him, as he has a league championship and a Copa Sudamericana to his name, as well as a senior cap for his country. His first season in France has been slightly frustrating; between earning a multi-match ban for a red card with the reserves and a thigh injury, his opportunities with the first team have been somewhat limited, but he has showed great promise when he has played. Analysis: Slightly undersized at six feet, Mammana is a player who prefers to use his tackling ability rather than his physicality. 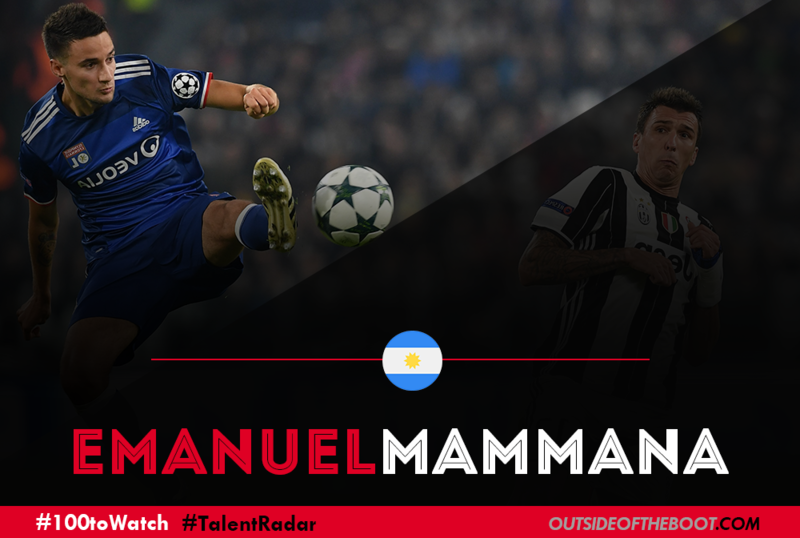 Elegant in the tackle, pacy and with good vision as regards his long passing, Mammana makes the best of what he has, his experience in the Argentine top flight at such a young age putting him streets ahead of most players his age in terms of maturity. His pace, particularly his recovery speed, allows him to cover the mistakes of others, a rare trait in a player so young. It is no coincidence that Lyon have looked increasingly strong at the back with the youngster in the side. While it is always an encouraging sign to see a player so confident and adept in his tackling, Mammana does need to improve his positional sense. His knack for a spectacular tackle is a joy to watch, but against players of a higher level, he will need to rely more on his own positional awareness and communication. Much of that, though, is down to adjustment to a new league and language, as well as establishing a rapport with his defensive partners. There is no question that as this improves, Mammana has a strong chance to be among the world’s very best at his position. Looking Forward: Despite the impressive pedigrees of Mapou Yanga-Mbiwa and Nicolas N’Koulou, Mammana should aim to follow suit with Diakhaby and become a first-team regular for Lyon. 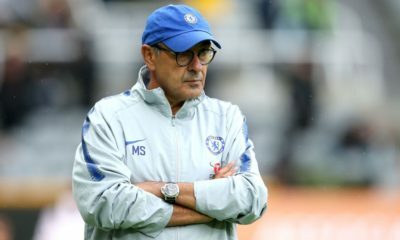 Manager Bruno Genesio has shown no lack of faith in other young players since replacing Hubert Fournier, and Mammana will be given every chance to prove himself. Having already recorded seven starts in all competitions, finishing with 20 or more is a realistic goal barring injury, as is potentially pushing for another international call-up. At season’s end, if Mammana can reach these aims, the 7.5 million euros Lyon paid for him will seem a pittance, especially given the exorbitant fees paid for center backs in the recent past. 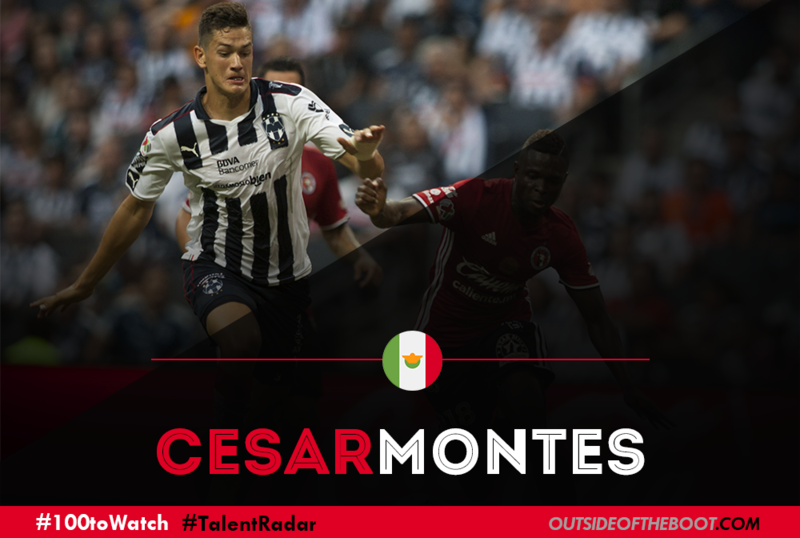 Blurb: Centre-back Montes came from nowhere to establish himself as a regular starter for Monterrey at the beginning of the 2015-16 season. This is a highly impressive achievement considering that Monterrey are one of the strongest and richest sides in Liga MX. Regular appearances for Los Rayados earned Montes a place in Mexico’s squad for the Rio Olympics, and have had many fans calling for a full national team debut. Analysis: César’s main strength is how comfortable he is when in possession, and playing out from the back. With a great range of passing, Montes is able to instigate attacks from defence, from both short and long range passes. His ability to play out from the back and pick out key passes should impress European scouts, with these attributes increasingly important for centre-backs in the modern game. Montes also has proven in the past to possess good timing when making key tackles; both standing and slide challenges. This may not be a positive observation though. 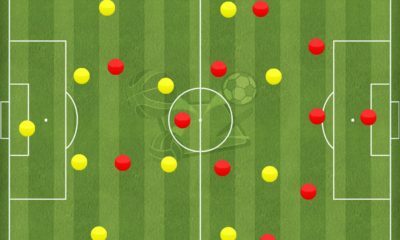 Historically, the best defenders in the world haven’t been particularly well known for their tackling ability, because their positioning and reading of the game means they don’t often get into situations where they’re forced to make a challenge. The 19-year-old Mexican can certainly improve his reading of the game and ability to step in and make interceptions. This should improve as Montes grows older and has more game experience. In addition, Montes, who stands 6’4” tall, has been able to improve aerially and add a goal threat to his game this season. Three goals in fourteen league games is a great tally for a defender. 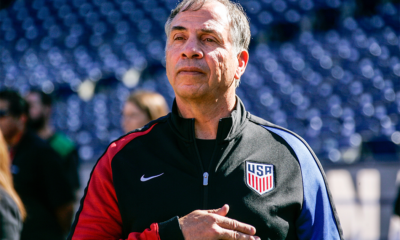 Looking Ahead: A potential move to Europe seems more of a question of when than if. Scouts from Europe are rumoured to be watching Montes on a regular basis. As previously mentioned, Monterrey are a wealthy side, having just moved into a state-of-the-art stadium which holds over 50,000 spectators. Montes will certainly demand a large transfer fee, which may put off potential suitors. Cheaper alternatives may be available in South America, for example. Playing for the senior Mexico team also seems to be a question of when rather than if. Due to his ability when in possession, Montes has often been described as the long-term replacement to Mexico legend Rafa Márquez. Despite a severe lack of pace, Márquez is still part of the Mexico squad, and El Tri could potentially benefit by bringing in Montes soon. Blurb: Germany no longer needs any introduction when it comes to player development; they are well and truly among the footballing elite in terms of youth football. Say what you will about their lack of routine success in continental competitions (with only Bayern Munich, and debatably Dortmund, truly being the power players in Champions League), but in terms of their domestic football and how the youth pipeline takes Die Mannschaft into account just as much individual clubs, there are few better. Sifting through the seemingly endless list of young players to watch out for coming through the ranks would certainly be tiresome, but there are quite a few that stand tall amongst the masses, and one of them is Felix Passlack. Analysis: Born just forty-minutes down the A2 from Dortmund in the industrial town of Bottrop, Felix Passlack has been highly touted domestically for some time. 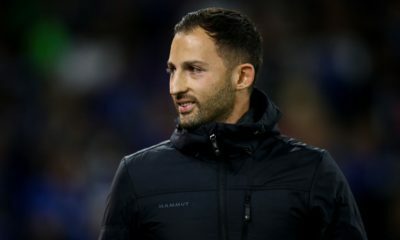 Beginning his footballing education for local-side SV Fortuna Bottrop at the age of four in 2002, Passlack would stay with the hometown-club until 2010 when he moved to another regional-side in Rot-Weiss Oberhausen. 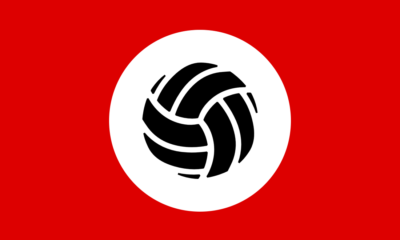 After spending two years in the system with Die Kleeblatter, he would get a move of dreams. At the age of twelve, he would move on a free to German powerhouse Borussia Dortmund in 2012. Such was his development at Hohenbuschei that he broke into both the German U16 and U17 set-up’s in the same year (2014). He would go on to captain the U17 side at both the Under17 European Championship and Under17 World Cup, featuring in every single match in both tournaments. All told, his seven goals in twenty-appearances, in conjunction with his progress made at the club, were enough to convince Thomas Tuchel to call him up to the Dortmund first-team. Passlack made his full debut for the club in March 2016 against SV Darmstadt, and has built on his breakthrough by making eleven appearances in all competitions, including scoring one of Dortmund’s eight goals in their 8-4 win at home to Legia Warszawa on match-day five in the Champions League. On the surface, Passlack’s tactical flexibility helps him stand out amongst the many, with his ability to slot in on either flank of the defense, as well as being effective further forward on either wing in the attack. His searing pace is an obvious strength, with his ability to get up the pitch rapidly, but it also affords him speed with which to recover if he’s caught out. He’s certainly not just a speed merchant either, and he can boast very strong technical ability both in possession and when on the move, good distribution, solid tackling ability, and a very good delivery into the area from the flank. Though he struggles in the air (like most wide players), his strength on the ball, as mentioned before, is surely his greatest strength. Impressively, Passlack can boast a passing percentage in the neighborhood of 90% this season (at the time of writing). When coupled with his ability to get forward both on the ball and without, the multi-faceted threat he poses cannot be taken lightly. Finally; not only does he seamlessly fit into Dortmund’s tactical approach under Tuchel, but the increase in appearances he has made thus far this season in comparison to the 2015-16 campaign (three) can certainly be taken as a sign that his future at the club will soon become the present. Looking Ahead: Though blessed with an incredibly deep first-team squad, Dortmund will undoubtedly keep looking toward the future as the club hope to progress under the Tuchel tutelage. The club certainly are spoiled for choice in attacking options, with big names such as Marco Reus, Andre Schurrle, and Raphael Guerreiro all being deployed in wide areas. In addition, wunderkind Ousmane Dembele, Turkish youngster Emre Mor, and American prodigy Christian Pulisic are all performing brilliantly this season despite their age. Because of these factors, Passlack’s future at the club is undoubtedly at the back. Both club captain and left-back Marcel Schmelzer (31), and Polish international right-back Lukasz Piszczek (28) are advancing in age. Guerreiro was a perennial left-back at Lorient and for Portugal, so it is likely that he will slot in for Schmelzer over time, thus leaving the right-back slot wide open for Passlack. Erik Durm has never fully taken his chance there when he has been given them, and deploying Matthias Ginter there rather than at center-back surely cannot last forever. Do not be surprised if you see Passlack become a full-time starter at that position by next season, with the view of breaking into the German U-21 set-up and beyond. 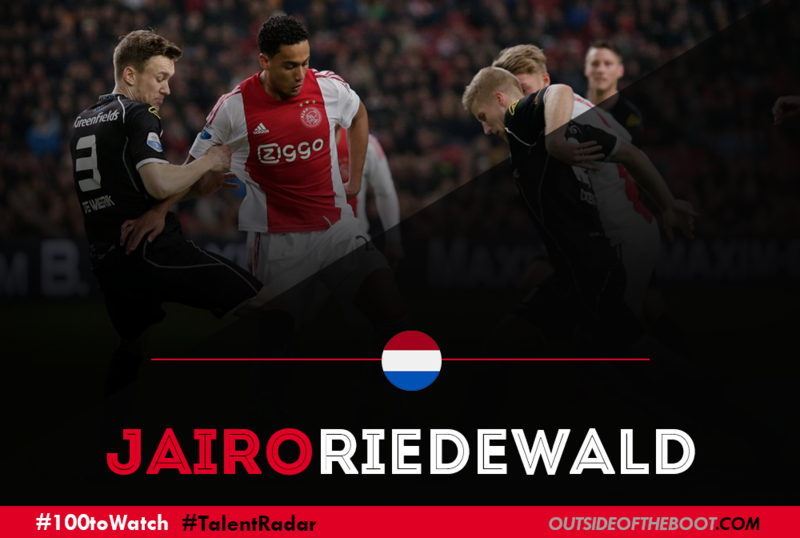 Blurb: An exponent of the famous Ajax academy, Jairo Riedewald has progressed through the years to become one of the prized talents in the side. The Haarlem native became the youngest scoring debutant in club history and established himself in the side last season, repaying de Boer’s faith in him. Only 20, he has found gametime tougher to find this season under new manager Peter Bosz, whose preferred centre-backs are Viergever and fellow talent Davinson Sanchez. He has been impressive for Jong Ajax and when given a chance in the first-team. Analysis: Riedewald’s passing is one of his strongest, if not the strongest, attribute he possesses. He is very comfortable on the ball, and this allows him to build up play from the back. 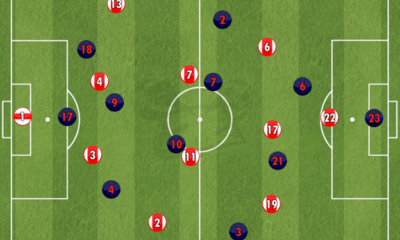 In the Eredivisie, teams often prefer to conduct the majority of passing at the back. The style of centre-backs would thus be suited to passing. Riedewald is in the mould of a true Dutchman- he likes to possess the ball wherever his position is. His versatility is another facet to his game: he can play as a centre-back, a defensive midfielder or as a midfielder- and passing is central to all these positions. This season, taking into account his limited game time, at the time of writing, he has an average of 57.9 passes per game (18 appearances) and a 91% pass success percentage. An example is in the recent Europa League game v Standard Liege, where he made 87 passes in the game. His dribbling is another strong point in his game- out of 1.5 dribbles, only 0.2 have been successful. One area he is slightly deficient in is his aerial prowess. At 182cm, he isn’t the tallest defender. This season, he’s won and lost 2.2 aerial duels on average. This suggests an inconsistent nature in dealing with aerial balls. Considering his age, he is unlikely to make up for this deficit physically, and as such, his intelligence will have to aid him in covering this weakness. For a footballer with his gifts, with time maturity and experience will aid him- aerial weakness should not be a major issue in a few years. Looking Forward: Though he isn’t the first-choice this season, he will have to bide his time.Honing his skills will benefit him in the long-run and keep him grounded. With his impressive performance in Europe, he will be on the lists of most scouts. If Bosz doesn’t trust him, someone will. Managers looking for a young defender who can build up play from the back, here’s your man. 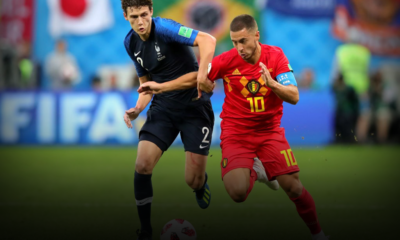 Blurb: Many people often state the Dutch, Portuguese and Belgian leagues as places to watch to find potential future stars. 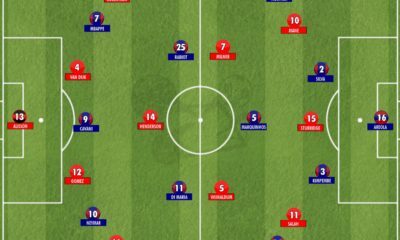 However, another good shout is the Swiss league and one club in particular seem to be very savvy when it comes to unearthing new stars, current Swiss league Champions – FC Basel. Whether it be young players bought as teenagers and developed, or players that have come through Basel’s youth and reserve teams, their recent production line is impressive, Ivan Rakitic, Granit Xhaka, Yann Sommer, Breel Embolo, Mohammed Salah, Gokhan Inler and Xherdan Shaquiri. 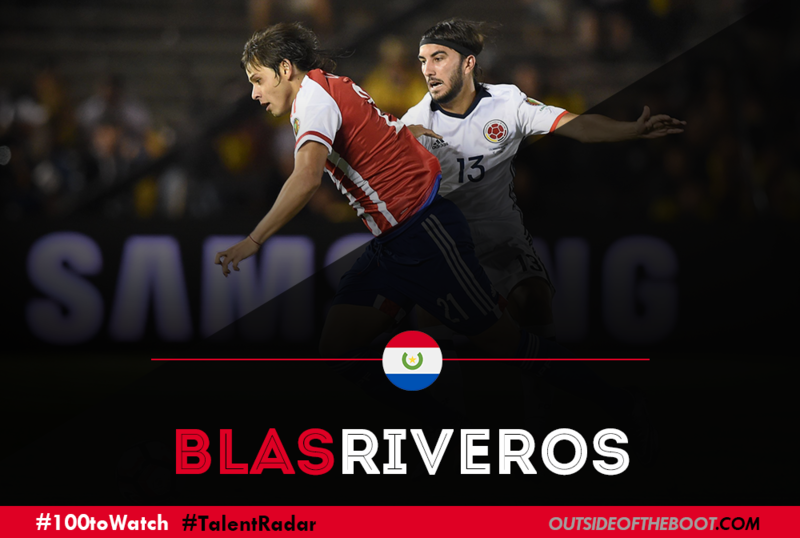 Soon, 18 year old Paraguayan Blas Riveros could be another name to add to that list above. 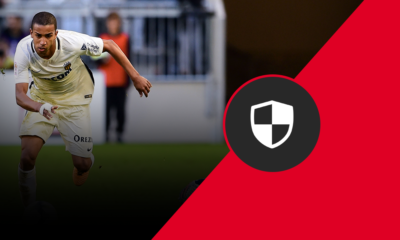 Analysis: Riveros signed for Basel in the summer from Paraguyan club Olimpia Asuncion on a 5 year contract, opportunities to see the youngster in action have not been frequent as he has not been a regular in their team since his summer move, however, he did feature in Basel’s 3-1 away defeat in the Swiss league to nearest challengers Young Boys. In this game, Riveros played the full 90 minutes for Basel and despite the defeat, the youngster was impressive. Riveros was deployed as a left back, however, he is capable of playing as a left winger too and this was further demonstrated as throughout the whole of the game, Riveros was never afraid to put crosses into the opposition penalty box from both deep and the byline. Further strengths include good anticipation and pressing of opposing wingers/fullbacks to intercept passes made down the flanks, a good first touch, being a technically gifted passer of the ball and good speed when tracking back to fulfill the defensive side of his game. Many of Young Boys’ successful attacks during the game did come down the opposing right flank, a testament to Riveros’ performance. 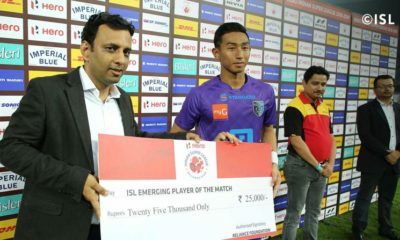 Defensively, he was still caught out a few times during the match and still has improving to do, but at the age of 18, there is the possibility this will come in time. Furthermore, Riveros’ tracking back all game fulfilling his defensive responsibilities when there is a temptation for young fullbacks to forget about this element of their game impressed me as it shows he knows where he needs to improve, and a desire from him to continue to improve and become a good all-round fullback. Looking Forwards: He’s only made three appearances so far this season. 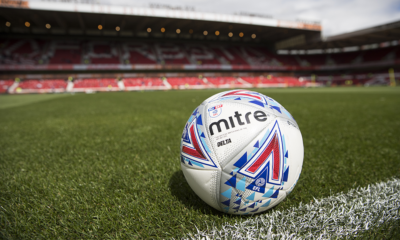 Should regular first-team football not come immediately in the new year, a loan move to a smaller Swiss club for the remainder of the season might be recommended. Longer-term, securing his place in Basel’s first team and consistently becoming one of its best performers in 2017-18 is a very attainable objective for the youngster and with Paraguay well-positioned to qualify for the 2018 World Cup in Russia, becoming a starter for his country at this tournament is another attainable longer-term objective. Should Riveros achieve both and shine in Russia in eighteen months time, expect future interest from clubs in better quality leagues who are casting an ever increasing glaze at the Swiss league for future talent.